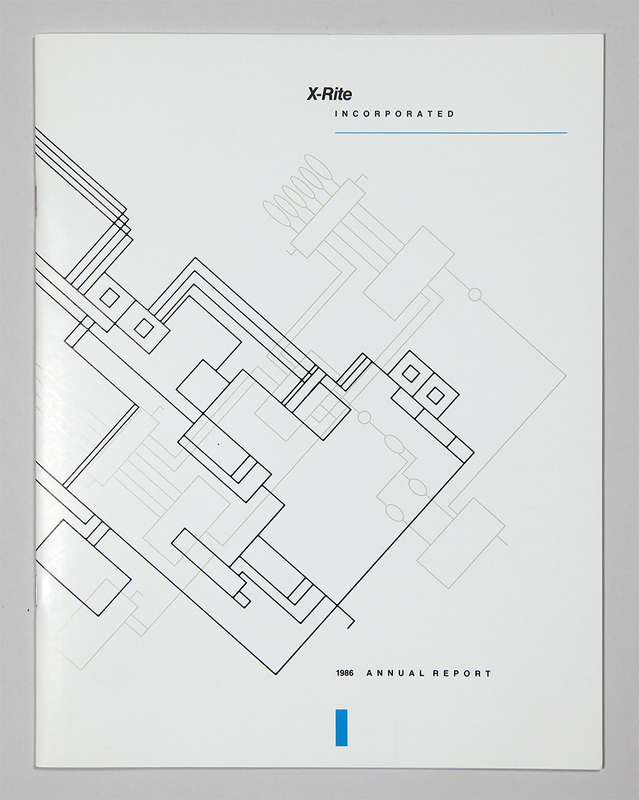 X-Rite Corporation’s first annual report. Size w 9" x h 11.5"
Techniques Offset printing, 4c process plus 1 spot color and spot varnish. Thermography.